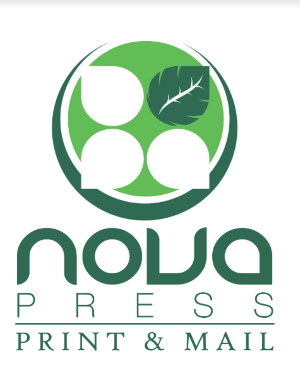 Welcome to The Mozi Run 2019! 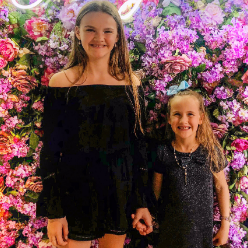 Saturday 18 May at Gold Coast Botanic Gardens. Each year we hold The Mozi Run to raise much needed finance to educate children in Mozambique. This year The Mozi Run is even more vital in helping us to recover from the devastation caused to the school in Mozambique by cyclone Idai. We work hard to make The Mozi Run an enjoyable family friendly event that appeals to people from a wide range of fitness and ability. There are three separate runs from which you can choose. 1km Family Run which is a great course for people who want a relaxed stroll or jog or for families with younger children. There is a fun obstacle section for children to engage if they wish. 10km Ultimate Run (the Andy Rulfs Tribute Run) designed for experienced runners. Cash prizes are kindly sponsored by A Team Tuition. Whichever Run you choose, we hope that you will enjoy it with family and friends and support a great cause. As you register, you have the option of setting up your ONLINE FUND RAISING PAGE. We hope that you will do this and obtain sponsorship donations for your run. The donations you raise will help educate children in Mozambique. Once you have set up your Online Fund Raising Page you are able to send a link to it by email, Facebook or Twitter to your friends, family and colleagues. They are able to click on the link and make an online donation to your Fund Raising Page. All donations over $5.00 are tax deductible and a tax deductible receipt can be requested. There are fantastic INCENTIVE REWARDS that you can choose, according to the total amount of sponsorship that you raise. You can see these rewards by clicking HERE and downloading the Incentive Rewards flyer. Please take the time to browse through The Mozi Run information tabs and read about the event. It has the information that you need for an enjoyable day. I look forward to seeing you there. Help us give hope to the children of Mozambique through our school and educational programs. 1km Family Run circuit with an optional fun obstacle course to conquer. All runs are raising much needed funds to give education to needy children in Mozambique. For your safety, please be advised that parts of the 1km, 5km and 10km runs go through the dog off-leash area and there may be dogs present. We will have security personnel and course marshals present along the running tracks. Dogs are not permitted on the running tracks (by Botanic Gardens Management) and are prohibited from some parts of the gardens. A course map can be downloaded - see Event Details on right hand side of screen. The Registration, Start and Finish area for all runs is located at the Gold Coast Botanical Gardens, Ashmore Road, Benowa. Enter via Ashmore Road and follow signs to designated parking for The Mozi Run. If you are being dropped off, follow signs to The Mozi Run Registration area. The Mozi Run will start at 2pm with a split start for each run. Please arrive between 12.30 - 1.00pm to allow time to park, check in, deposit Cash Sponsorship Envelopes in the boxes provided and warm up. Once you have parked, follow signs to Registration tent area to check in. A selection of food and beverage vendors will be on site for light refreshment. Portable toilets and rubbish bins are located at the Registration area. A qualified First Aid Officer is available at the First Aid Tent. We have engaged qualified and experienced security personnel to ensure a safe and positive event. 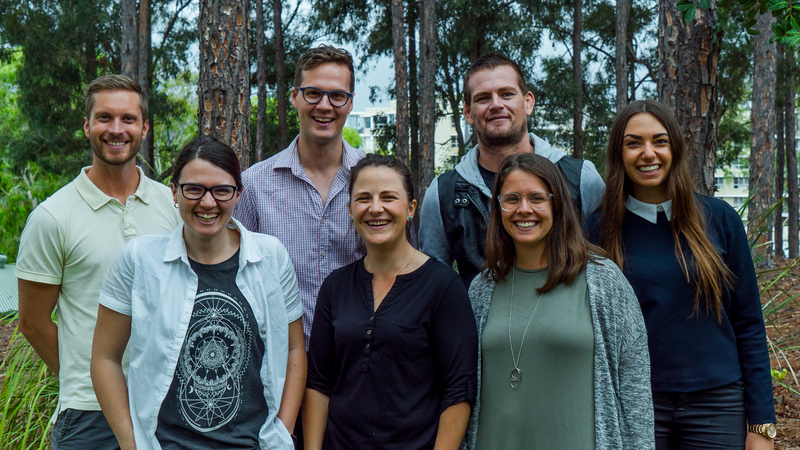 We encourage you to set up your personal FUNDRAISING PAGE to raise funds online for kids in Mozambique. A CASH SPONSORSHIP PACK is available to collect cash sponsorships from those who are not able to sponsor online. 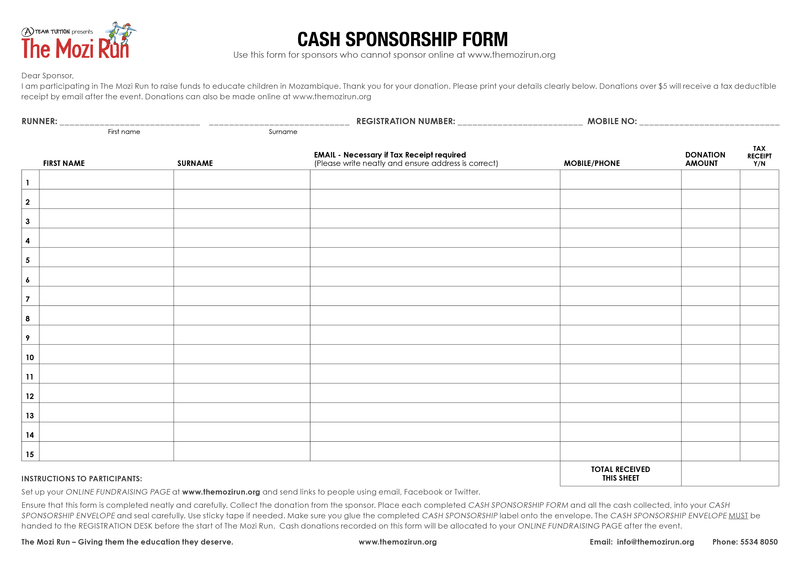 If needed, you can download and print a Cash Sponsorship Package. There are fantastic INCENTIVE REWARDS that you can choose online, according to the total amount of sponsorship that you raise. Make sure that you bring this pack and the cash donations with you when you check in and place it in the box provided at the Registration Tables. I understand that participation in The Mozi Run by myself or persons for whom I am responsible, involves physical activity with inherent physical risks. I accept that I am solely responsible for the level of fitness for myself and persons for whom I am responsible and have made adequate physical preparation and determined that each one is fit and able to participate in The Mozi Run. I understand The Mozi Run is held in the public domain, which may include the crossing of public roads, thoroughfares and private property and release Mission Educate, the organizers of The Mozi Run and owners of private property from any responsibility for any injury, accident or mis-adventure, including those caused by motor vehicles, bicycles, scooters, and animals. I understand that The Mozi Run is being held in public spaces where members of the general public, their pets and other wildlife may be present. Mission Educate and the organisers of The Mozi Run will not be held responsible for any damage to property or injury to persons as a result of any interaction or confrontation that may occur. I understand that whilst the circuit for the The Mozi Run has been sign posted by the organizers, I am solely responsible for my own personal safety and the safety of persons for whom I am responsible. I acknowledge that I have made the decision to participate in The Mozi Run for myself and persons for whom I am responsible and do so of my own free will understanding that whilst precautions have been made by the Organisers there is a risk of injury when participating. I consent to receiving medical treatment for myself and persons for whom I am responsible by the First Aid Officer appointed to The Mozi Run, a qualified medical/first aid practitioner who may offer assistance or by qualified ambulance or paramedic personnel. I give permission for the free use of my name, voice or image in any broadcast, telecast, advertising promotion visual media or other account of this or similar events and any other promotion by Mission Educate. Mission Educate understands the importance of protecting the privacy of individuals and will ensure the confidentiality of any personal information collected. The registration information will only be used to notify you about The Mozi Run for which you have registered and any future events organised by Mission Educate. Registration fees for The Mozi Run are non refundable. Should the event be cancelled, registration fees collected will be allocated as a donation to Mission Educate and participants will be given the option to receive a tax deductible receipt for that donation. The purpose of The Mozi Run is to raise funds for the development of education in Mozambique, by Mission Educate Ltd. Participants in The Mozi Run are not obliged to raise sponsorship funds and may choose not to do so and just participate in the actual run. Those who choose to raise sponsorship donations may do so on the online fund raising page that they establish when registering. Donations may be made online or by cash. Apart from the Registration Fee, participants and their sponsors may request a tax deductible receipt for donations over $5. Receipts will be emailed to donors. Donations may be made online or submitted in cash using the cash sponsorship package at the start of The Mozi Run. In the event of a cancellation of the event, all donations made online or by cash will receive tax deductible receipts by email, if the appropriate information has been provided. Donations will not be refunded in the event of an event cancellation. Mission Educate and organizers of The Mozi Run reserve the right to cancel the event without notice. Should a cancellation occur, the organizers will post a cancellation notice on www.themozirun.org, endeavour to contact participants by email and may broadcast an announcement on community radio. Mission Educate and organizers of The Mozi Run will not be held responsible for any costs or inconvenience caused by a cancellation. Incentive rewards may be available to participants for the amount of sponsorship donations raised for The Mozi Run. There is no obligation on those raising funds to physically participate in running or walking The Mozi Run circuit. Incentive rewards may be offered by in the categories advertised with the event and by School Fun Run. To qualify for incentive rewards, participants must meet the advertised requirements. For all incentive rewards, the following conditions apply. Incentive rewards will be available to all individual participants who establish an online fund raising page. There is no obligation for participants to participate on the day in the actual event. Rewards will be available to those who meet the advertised conditions for the rewards, as determined by data provided by participants when registering their fund raising pages. Information entered cannot be altered 24 hours prior to, or after the start of the event. Mission Educate or The Mozi Run organizers will not be held responsible for errors made by participants in entering data onto their fund raising pages. Participants will receive incentive rewards supplied by School Fun Run according to the advertised guidelines provided by School Fun Run. Participants who raise funds as part of a family team will be allocated an average percentage of the total amount raised by the family team. Family team members are not able to re-allocate their average percentage share to other family team members. Family team members are able to raise funds individually and have them allocated to their personal fund raising amount. The Family Team fundraising total cannot be allocated to one individual. School Fun Run reserves the right to replace or remove advertised incentive prizes, without notice. Mission Educate and the organizers of The Mozi Run will not be held responsible for any alterations made by School Fun Run. Cash prizes will be awarded in the 5km and 10km runs to participants who are placed first, second and third at the finish of the event. The finish marshal will be sole arbitrator of participant's place position. In the event that there is a tie for a place position, the finish marshal will make that decision and the cash prize will be divided equally between the two participants. The decision of the finish marshal will be absolute and final and no dispute will be received by Mission Educate or the organisers of The Mozi Run. I hereby release Mission Educate Ltd, The Mozi Run organisers and its agents from any liability now or in the future and waive any claim, right or course of action that my heirs or I might have for or arising out of loss of life, injury, damage or loss of any description whatsoever, that I may suffer in my participation in The Mozi Run. I, my heirs or legal representatives forever release, waive, discharge and covenant not to sue Mission Educate Ltd or The Mozi Run organisers for any injury or death caused by their negligence or other acts. I have read the above release and waiver of liability and fully understand its contents. We have created a new 1km Family Fun Run this year. This course is ideal people who want a relaxed stroll or jog or for families with younger children. You can choose to navigate fun inflatable obstacles or just enjoy the 1km circuit in the Botanical Gardens. This run is suitable for parents with strollers. This run is not suitable for bikes or scooters. Registration fees are non refundable. The Family Run is a 1km circuit and will involve an optional fun obstacle course. Please note: There is no timekeeping for this event. To maximise support for education in Mozambique, please set up your ONLINE FUNDRAISING PAGE and obtain sponsors for your run. You do not have to participate in the actual run to obtain sponsorships or qualify for incentive rewards. A great range of incentive rewards are on offer from School Fun Run to all those who raise $10 or more. The 1km Family Run Obstacle Course is proudly supported by: ObstaAcool. Registrations include use of timing tile to be returned at the finish line. Registration fees are non refundable. The 5km Challenge Run is a timed single lap of a 5km Botanical Gardens Running Circuit. Your time will be emailed to you in the week/s following the event. Cash Prizes will be awarded for both male and female runners. To maximise your support for education in Mozambique, please set up your ONLINE FUNDRAISING PAGE and obtain sponsors for your run. A great range of prizes is available from School Fun Run to all those who obtain sponsorship donations. You do not have to participate in the actual run to obtain sponsorships or qualify for prizes. Registration includes use of timing tile to be returned at finish line. The Andy Rulfs Tribute Run is a timed run and is two laps of a 5km circuit in the Botanical Gardens. Your time will be emailed to you in the week/s following the event. To maximise your support for education in Mozambique, please set up your ONLINE FUNDRAISING PAGE and obtain sponsors for your run. Great incentive rewards are available for all those raising $10 or more in sponsorship. 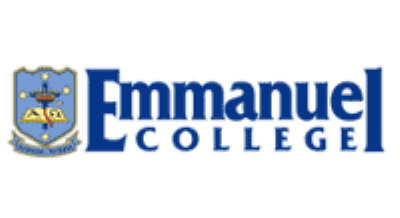 Andy Rulfs was a student at Emmanuel College. He loved life, lived with intent, played his trumpet, excelled academically, enjoyed hanging out with friends and family and worshipped God with all his heart. He loved running from the time he was a toddler. In 2003 he discovered cross-country running and was placed 5th in the 11 year old 800m final at the National Primary Athletics in 2004. For the next 4 years, he represented Queensland in 800m and cross-country receiving Sports’, Academic and Performing Arts awards at the annual Emmanuel College Presentation Evening. Like Eric Liddell, he felt that God had gifted him to run, and to run fast. In August 2008 he was a member of the 15 years boys Queensland team that placed first at the National Cross-Country Championships. He won the gold medal in his time trial. In October 2008, although suffering from terrible headaches, he qualified to compete in the 1500m at Nationals. This was to be his last race. He became more and more incapacitated and was finally diagnosed with glioblastoma, a very aggressive brain cancer. He was sustained in those last months by his faith in God, the support of family, friends and his running coach. Andy lost his race with cancer in June 2009. A life of great potential, cut short. The Andy Rulfs Tribute Run, as part of The Mozi Run, is dedicated to his memory. 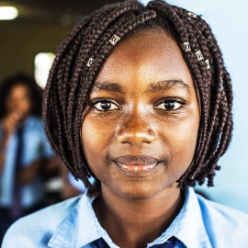 In doing so, it is hoped that the funds raised will enable young Mozambican boys and girls to realise their potential by giving them the opportunity for education, denied to over one million Mozambican children. The Mozi Run is an event designed for individuals, families, casual and serious runners. The 1km Family Run is designed for families with younger children or for those people who want a relaxed stroll or jog. There is a fun obstacle section for children to engage if they wish. The 5km Challenge Run encourages families to experience some healthy outdoor activity together. The 10km Ultimate Run is designed to challenge experienced runners and walkers. The 1km Family Run is NOT timed. Both the 5km and 10km runs are timed. "Timing Plus - South East Queensland Sports Timing Specialists" will be looking after our electronic timing. Participants will receive their time by email in the week/s following the event. Do I have to have sponsorship [raise funds through cash sponsorship]? You are able to come and participate in The Mozi Run without sponsorship. Your registration fee is part of the funds raised to help support education in Mozambique. However, for just a little extra effort you can help increase the amount we raise for education, by having people sponsor your participation. You also qualify for some awesome incentive rewards for both adults and children from School Fun Run. It is very simple to raise funds through sponsorship. When you register, check the box 'I'd like to setup a Fundraising page'. Fill out the information on the page. Click on the Facebook, Twitter, or Email link on your page to share your fundraising page link. You can use this sample message to explain to your contacts what you are doing: "I am entering The Mozi Run this year to raise donations to help educate children in Mozambique, one of the world's poorest nations. I am hoping that you will be able to sponsor me in my run. Any donation over $5 is tax deductible. Please click on the URL below to my online Fundraising Page." You can also choose to download the Cash Donation Kit (Sponsorship Forms) and collect cash. Please return the Sponsorship Form/s in an A4 envelope, with the envelope label glued to the front, to box provided at the Registration Tent when you check in on the day. Can I participate with a dog or stroller? Runners and walkers are able to participate with a stroller so you can bring the whole family. Unfortunately, for safety reasons no dogs will be allowed at the start area at the Botanical Gardens. The Mozi Run starts at 2.00pm. There will be a split start for the 1km, 10km & 5km run. Please arrive between 12.30 – 1.00pm to allow enough time to park in the designated parking area, walk to the registration tent, check in and warm up. Bringing along your registration email will help our volunteer staff confirm your registration and check you in. You can also make a donation for education in Mozambique, as you register. What do I do if I haven't received a registration confirmation? If you are having any difficulty with registering or do not receive a registration confirmation contact our team below and we'd be happy to assist you. You can also just arrive at the event and confirm your registration. Can I register on the day at the event? Yes you can register at the event. Please come early to ensure you have time for the registration process. You can also make a donation for the cause when you register, if you wish. Do you need volunteers on the day? This event relies on the support of many great volunteers. If you are available to help contact our team below and we'll be sure to let you know how you can help make the event a success! It takes a number of volunteers to make The Mozi Run happen and you can help make it a success by volunteering your time and expertise. What do I do if I have sponsors who cannot access the online donation? We recommend that you collect the money from them yourself using the Cash Sponsorship Form. Cash Sponsorship Form. Use this form to collect cash. Please ensure that information is filled out correctly and is legible. Bring this form and the cash in an envelope with the Cash Sponsorship Envelope label glued to the front when you check in on the day. Cash Sponsorship Envelope. Please complete the information on this sheet and glue it to the front of an A4 envelope. Please provide your own A4 envelope. Please make sure you have set up your online fundraising page so cash donations can be allocated to it. 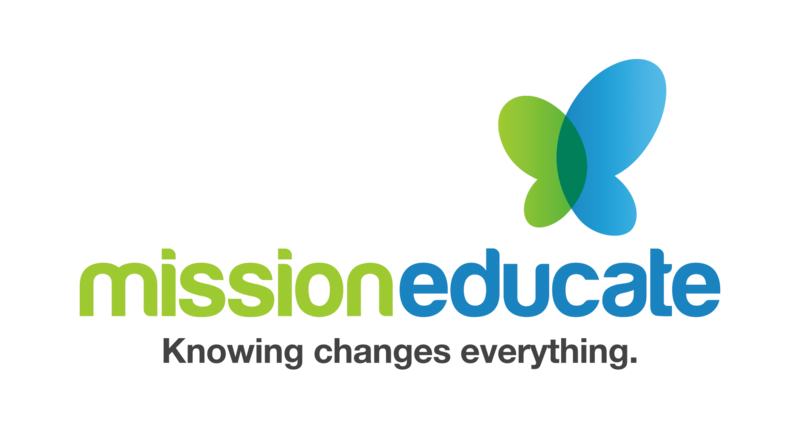 You will be able to receive sponsorships online up until Wednesday 22 May 2019 after which time people can still support the work of Mission Educate by donating to our website. They will still receive a tax deductible receipt but their donation will not be credited to your fund raising total. School Fun Run Incentive Reward Selections must then be made online by Friday 24 May 2019. How do I claim my reward incentive? 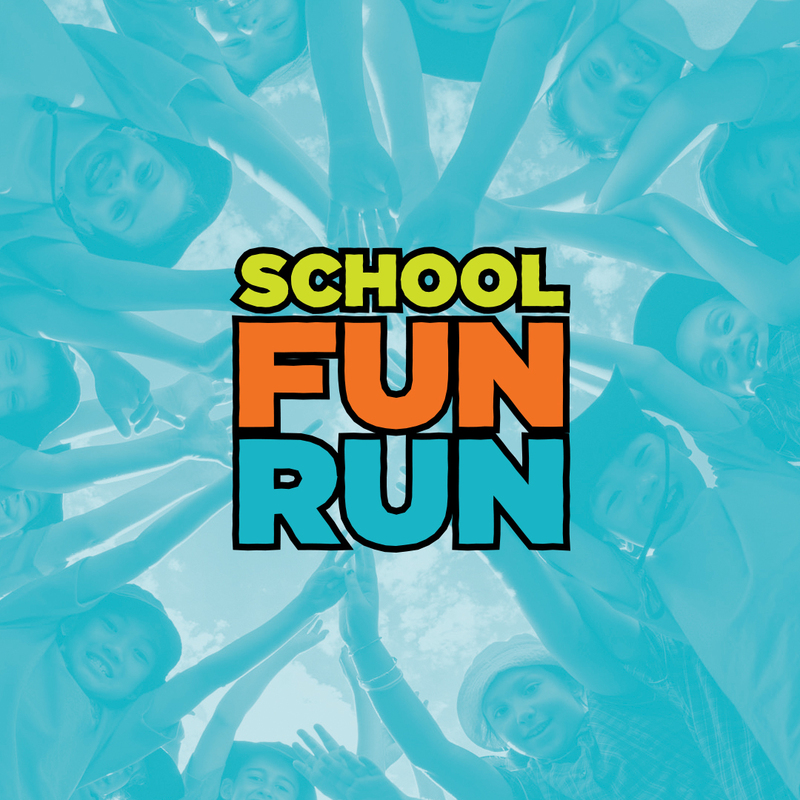 The Mozi Run partners with School Fun Run to provide great fundraising incentives for those who participate in collecting sponsorships. Prizes can be selected online through our website. This will be available by logging into the website from Saturday 18 May 2019 using your email address or the login email you used when registering. Final reward incentive selections must be made by Friday 24 May 2019. You will receive an email with information of when and where to collect your reward incentive selections. The management of the Botanical Gardens will make the decision regarding the cancellation of the event because of weather conditions. A cancellation notice will be placed on The Mozi Run website and announcements may be broadcast on community radio on the day. In the event of a cancellation, monies received and sponsorship donations will be used for the development of education in Mozambique. Tax deductible receipts will be sent to donors supplying their details. As much as possible, costs are covered by corporate sponsorships. However, this may vary year to year and some costs may need to be covered from registration fees. Those who qualify for School Fun Run Incentive rewards from sponsorships obtained will still be able to choose their rewards online according to the amount of sponsorship received. What happens if someone is unable to attend The Mozi Run? If a situation arises where you or someone registered in your family is unable to attend The Mozi Run, any sponsorship donations received will be donated to Mission Educate and receipts issued accordingly. The absent registered participant will still qualify for the Incentive Prizes based on the funds receipted. The registration fee is not refundable. What percentage of funds raised at The Mozi Run goes to the school in Mozambique? There is not a set percentage donated from the funds raised. The simplest way to answer would be to say "As much as possible". The organisation of The Mozi Run has associated costs involved. As much as possible, costs are covered by corporate sponsorships. However, this may vary year to year and some costs may need to be covered from registration fees. Some costs are involved with the incentive rewards provided by School Fun Run for those who choose to be part of that promotion. These costs vary according to the number of people participating each year and the incentive rewards selected. The Mozi Run is staffed by many volunteer helpers who contribute their time and expertise without cost. Each year The Mozi Run is able to contribute significantly to the day to day running costs of the King of Kings School in Mozambique. These costs include teachers' salaries, text books, education resources and equipment and the provision of water, electricity and telephone. This enables the school to give access to education to orphans and children from families severely affected by poverty. Do I need to set up a Fundraising Page if I want to collect cash sponsorships? Yes, you will need to set up a fundraising page even if you choose to download the Cash Sponsorship Pack and collect sponsorship using this method. The reason is so that you are able to choose your incentive rewards. Sponsors are able to give cash on the form provided. Once we receive your cash sponsorship envelope with cash and sponsors details if they want a tax deductible receipt [over $5], we have a team who checks and signs off on the contents and the sponsorship received is attributed to your fundraising page. 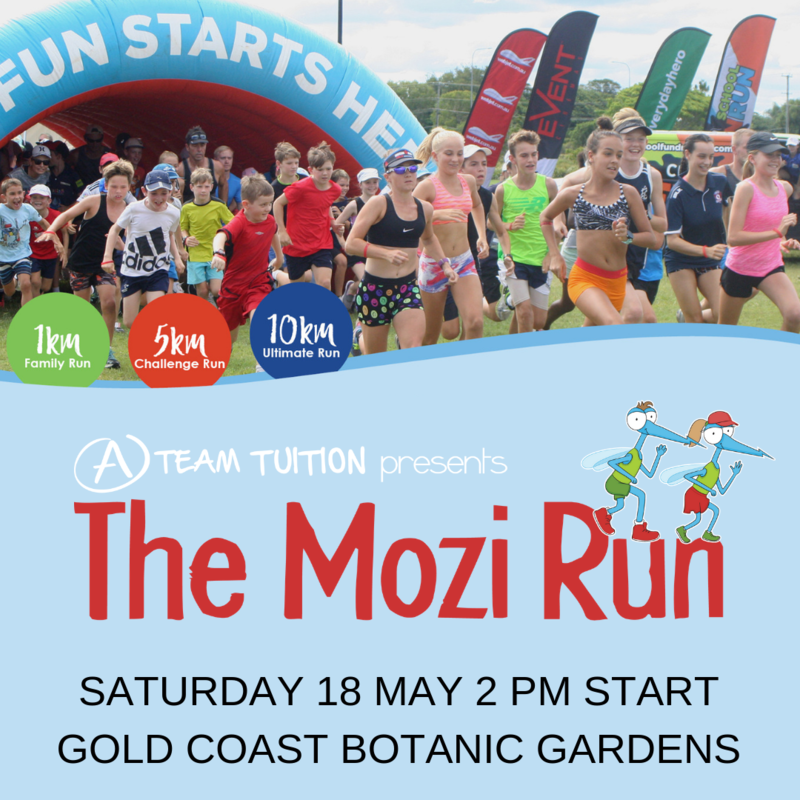 The Mozi Run is designed to provide an enjoyable family focused event for those who enjoy running and walking. We do our best to ensure that each of the runs is appreciated by those who participate and have many volunteers to assist in the running of the event. We also have qualified and experienced security personnel onsite. A qualified First Aid officer is onsite at the First Aid Tent in the Registration area and the security personnel also have first aid training. Whilst your safety is an important consideration for us in the running of the event, ultimately each person is responsible for their own personal safety and the safety of persons for whom they are responsible. Our volunteers and Mozi Run staff can be easily identified by their safety vest and/or distinctive lanyard. If you require assistance while on the run please speak with one of these people. Saturday 18 May 2019, 2pm Start. Gold Coast Regional Botantical Gardens. All sponsorships and donations are securely processed through Stripe.